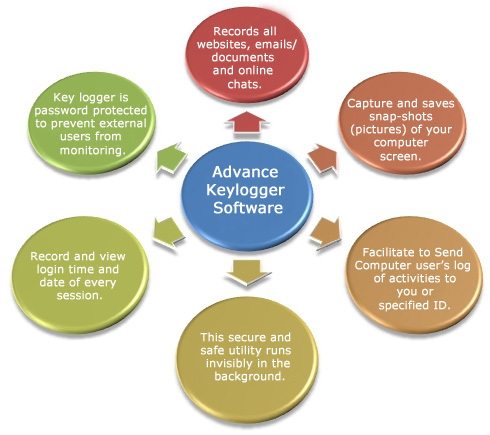 Advance Keylogger software secretly captures entire Windows Screen Snap-shots and records all typed key strokes including email IDs, passwords, chat conversations, typed documents and other keyboard typing activities in hidden password protected and encrypted log file. 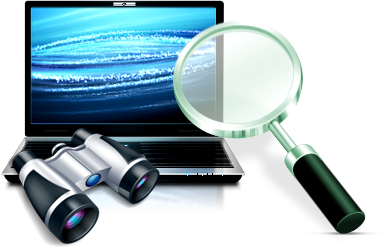 This highly secure application invisibly logs and systematically records all keystrokes including (typed emails text, chats conversations, website visited, password, documents lists and more) and Sends Computer user’s log of activities to you by Email automatically in the stealth mode. 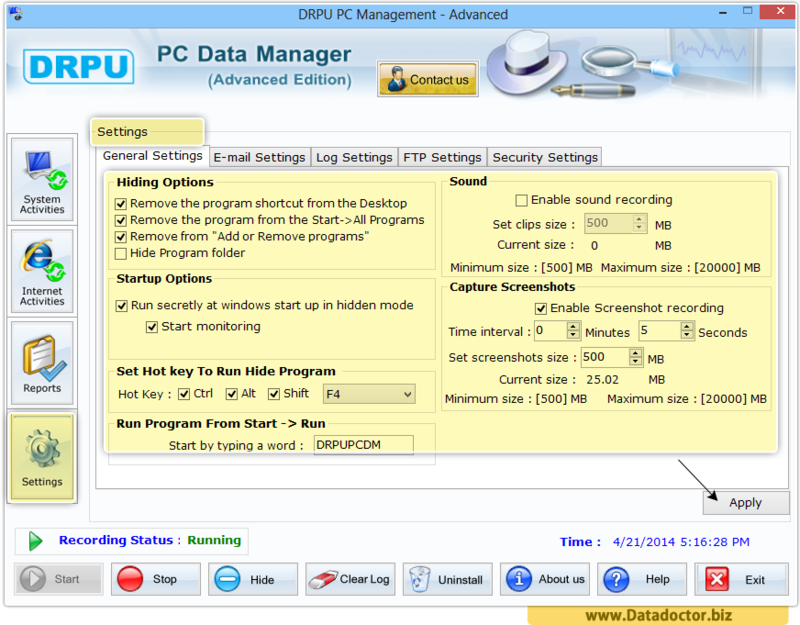 The Visual surveillance tool runs hidden in the background and is completely unrecognizable during monitoring session that is Key logger cannot be seen in the ‘Add remove program list’, ‘System startup’, ‘Program menu list’ or even you can hide the installation folder path so that user is unable to detect the keylogger installation. 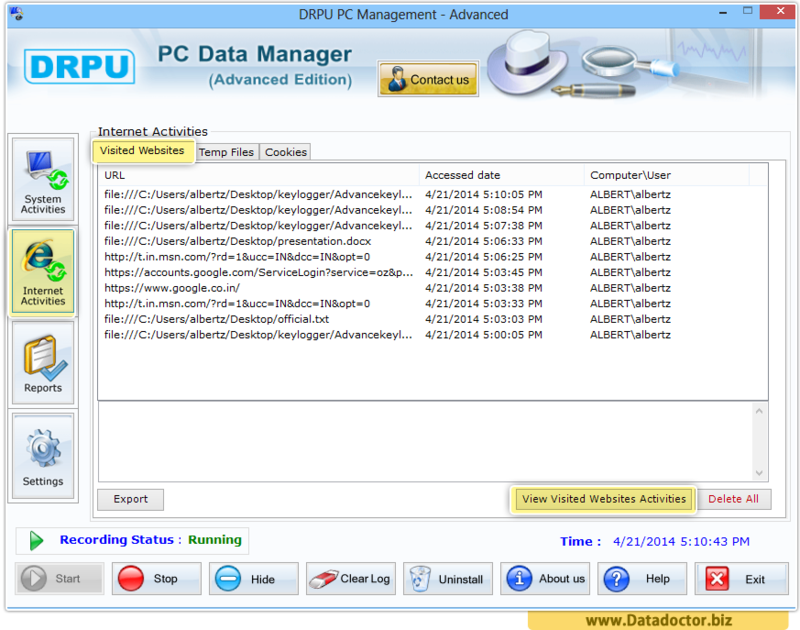 It works in absolutely stealth mode and bypasses all major anti key logger and spy tools. 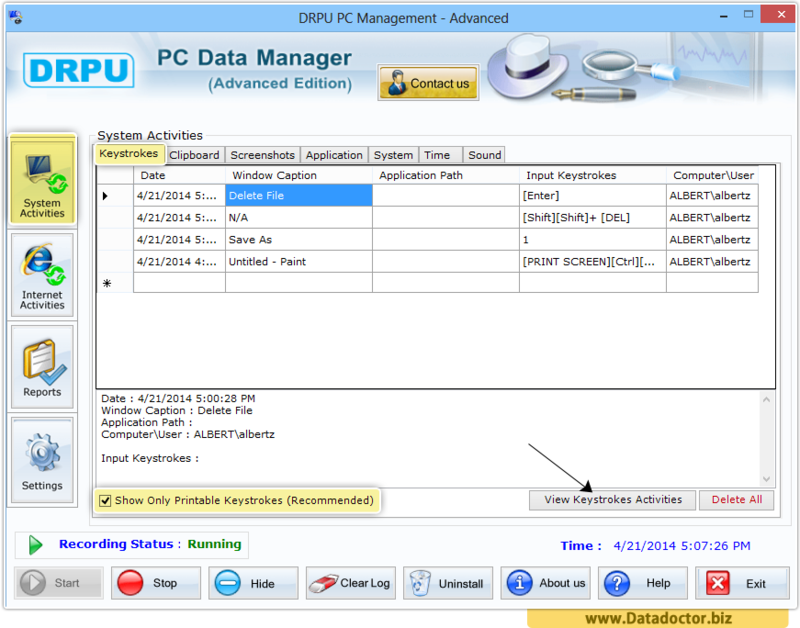 Go to System Activities option to view keystrokes activity, Clipboard, screenshots etc. on your PC. Now, click on Internet activities button see visited websites activities. 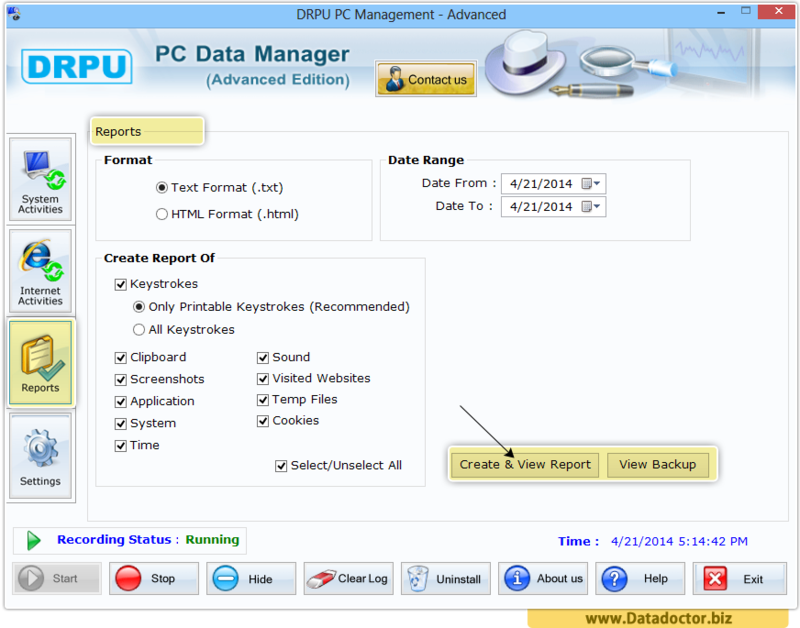 Go to reports option to generate keystrokes report in Text or HTML file format of Clipboard, Screenshots, and Visited Websites etc. Finally, go to settings option to select options of General setting, E-mail settings, Log settings, FTP settings and Security settings to apply.